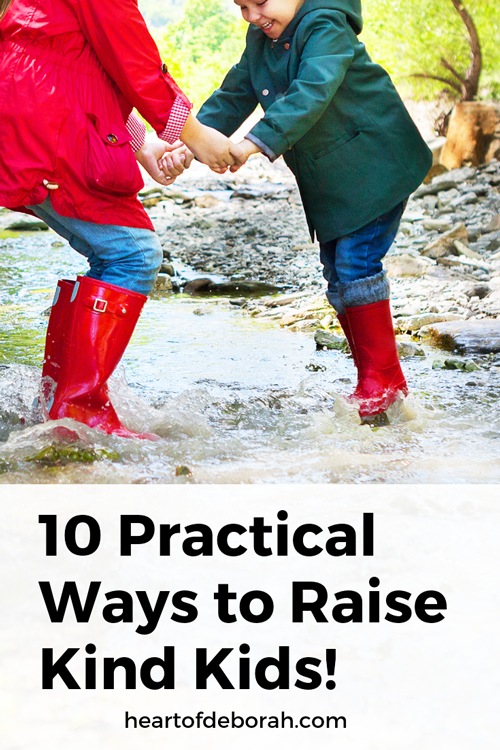 10 Easy Ways to Encourage Kindness in Kids Right Now! 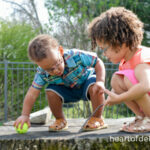 Our kids are two years apart in age and now that they are getting older we are hearing more arguing. Our son is almost 3 and he has found his voice! He no longer wants to do whatever his older sister tells him to do. And he isn’t afraid to speak up. Loudly. But this morning we had the sweetest moment! See our daughter is obsessed with art. At her preschool end of year celebration this year she said the hardest part about being a kid was coloring in the lines. So this was a BIG deal to her. She was really excited for him and it melted my mama heart. We try to promote kindness in our kids, but when you actually see it in action it melts all those other parenting frustrations away. 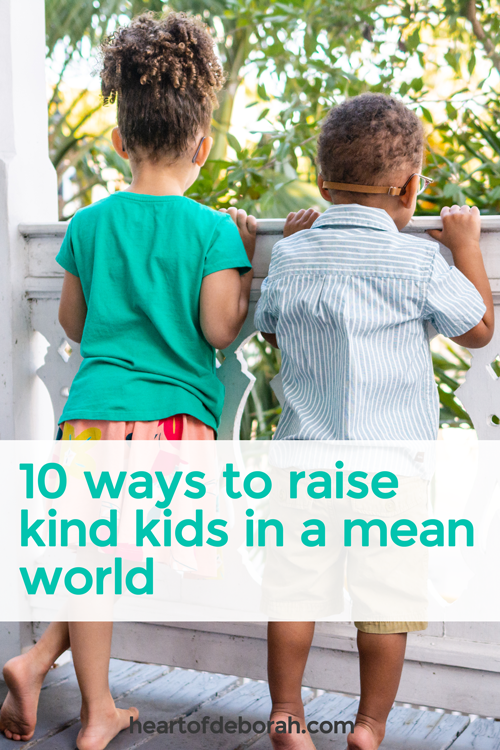 This month we were thrilled to collaborate with cuddle+kind to share 10 easy ways to encourage kindness in kids. We live in such a broken world. I believe we must be intentional about teaching our children empathy and encouraging kindness. Starting at an early age! 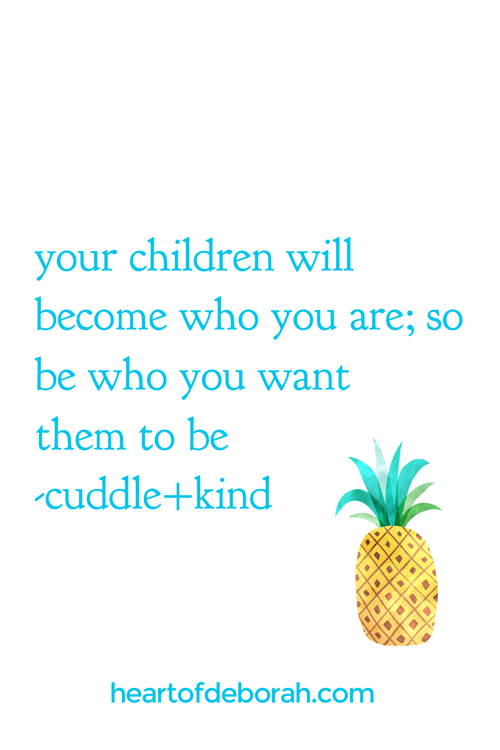 This is one of the big reasons we were drawn to cuddle+kind (it doesn’t hurt that their hand-knit dolls are absolutely adorable). Keep reading to learn more about their mission and find easy ways to encourage kindness in kids! This is a big one for us. My sister was my best friend growing up and it’s my hearts desire for our kids to experience the same sibling love. We reinforced this right away. When our son was born we made sure to include his older sister. She loved reading him a book before bed or giving his little head kisses. To this day, she still pats his back before she goes in to her room to sleep. They know loving kindness is expected in our family. Of course they their are times where they struggle to share toys. But we try to reinforce the fact that we treat family and friends with respect and kindness. The same type of kindness we hope to receive from others. Books are a great tool to talk to your children about being a good friend or caring for others. Find books for your personal library or from your local library to read together. 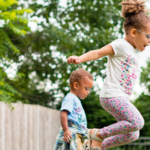 Kids love to hear about other children’s adventures and experiences! Books are an easy way to do this and can open up dialogue on how to be a nice friend. When you notice an act of compassion, talk to your kids about it! 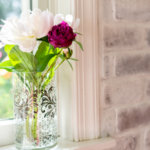 It doesn’t have to be forced, but kindness can be a part of your everyday conversations. It doesn’t take a lot of effort and it’s such an easy way to encourage kindness in kids. Talking and reading about kindness is great, but you should also find ways to put it into action. Bake cookies together and take them to a neighbor. Just because. Make daddy lunch and put a special note inside his lunchbox to remind him how much you care for him. Don’t forget to ask your children for ideas! They may come up with random acts of kindness that surprise you. Our kids are still a bit young for this, but this is something we definitely plan on doing in the future. It’s important to serve the community together as a family. Whether it’s helping out at the local soup kitchen or cleaning up the neighborhood park it’s so special to do it as a family. It also reinforces to your children that you hold the same values you are trying to impart in them. We did this last year around Christmas. I’ll be honest and say at first it was very difficult for our 4 year old. She struggled to buy a wonderful present for someone else without getting anything for herself. But that is the exact reason we did it! It’s a great act of kindness for kids to start out practicing. Sometimes compassion takes sacrifice and it may not always be easy. Yet we want to share with our children that it is worth it. We did our best to wrap the present beautifully and in the end she was excited to give it to another child in need. A few of our friends just had babies so we’ve made meals to take to their homes. We want our children to be a part of this. We involve them in the baking (as much as possible) and share with them how special it is to help another family. When our daughter received her cuddle+kind doll there was a cute bracelet on the doll’s wrist that read “1 doll equals 10 meals.” We explained to our daughter that with every doll made, the company feed 10 children in need. She was so sweet and asked “How does the mermaid make the food for friends who need meals?” It bring a smile to my face. Share these experiences with your kids! Explain to them in kid friendly terms what a blessing it is to help someone in need. When you notice your child sharing a toy they love or helping a friend who is upset don’t forget to praise them. Point out the act of kindness. It may be something small, but it’s important to recognize when we see good character in our kids! We don’t always get it right and we may not always treat our friends or family nicely. Use this as a learning experience! Reflect back on the situation and ask them how it made each person involved feel. You are building empathy and social understanding when you do this. Also ask what you could do next time instead. This may be the most important step! We can’t expect our kids to be kind, compassionate and loving when we model something different. If you value love and tenderness this should drive everything you do. We are our children’s first model. So we must be intentional about how we shape these values in our children. Raising a compassionate child in the age of entitlement isn’t going to be easy, but with intention and purpose I believe we can do it! So how about you? How do you teach kindness and empathy to your kids? 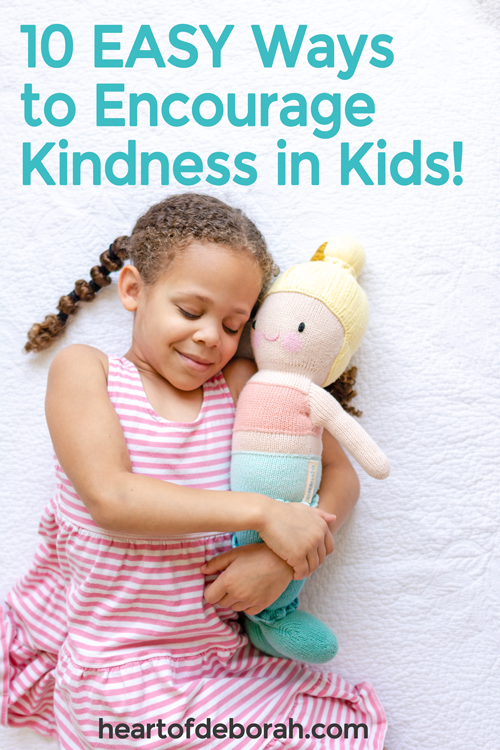 How do you encourage kindness in kids? I’d love to hear from you in the comments below! 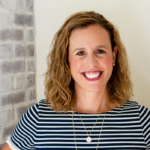 Be sure to follow Heart of Deborah on Instagram for more encouragement in parenting. 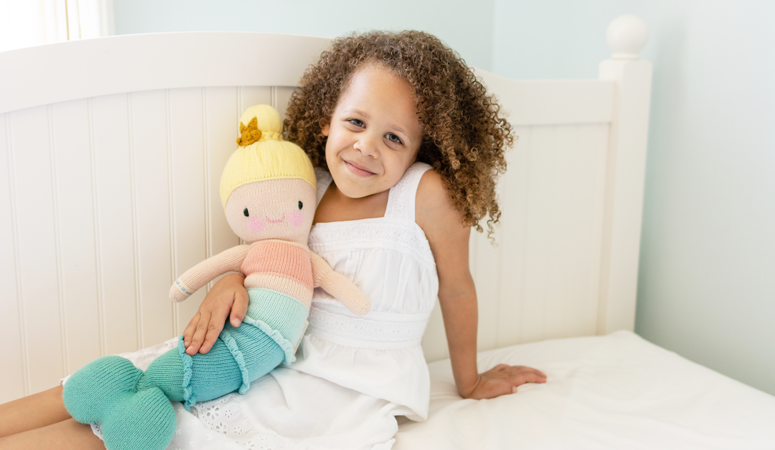 Thank you cuddle+kind for sponsoring this post and gifting us the adorable mermaid! “We can’t expect our kids to be kind, compassionate and loving when we model something different,” i guess this is really true in every word. Whatever we may teach to kids will never be effective if we show them the opposite of it. What they see with the adults may have a bigger impact to them than to what they would learn through words.